March 20, 2018 — Eligma, an AI-driven and blockchain-based cognitive commerce platform, is about to revolutionize the shopping domain by introducing the use of cryptocurrencies into the consumer mainstream. Relying on blockchain technology and artificial intelligence, it creates an automatization of the shopping experience and enables users to use different cryptocurrencies in online and offline stores. To further its innovation, the projects aims to raise contributions through the token sale. Novelty embracers and early followers will be able to contribute through a presale of its tokens, starting on 20 March. The crowdsale, aiming for the total amount of 24 million U.S. dollars, starts on April 17. "Eligma is a powerful synergy of creative minds and the latest technology. For this reason, the Eligma team and our renowned advisors are excited to launch our presale. It is only with the help of our supporters and contributors that Eligma's transformation of commerce can begin." Eligma's blockchain technology will ensure a safe and transparent inventory of the purchased goods, decentralized sale on the blockchain and the use of an ERC-20 compliant token – the ELI. Last week saw a successful introduction of Bitcoin City, Eligma’s pilot project in partnership with the renowned business and shopping center BTC City Ljubljana, which aims to show the simplicity of cryptocurrency use in shopping practice. The contributions are gathered to get the AI-driven product discovery operational in Slovenia till the end of 2018, with further milestones being to expand to the UK markets in 2019, create automated listings of the users’ second-hand goods in 2020 and enable global unified shopping accounts in 2021. The testimony to the fact that the Eligma team is on the right path is the interest generated all across the world. 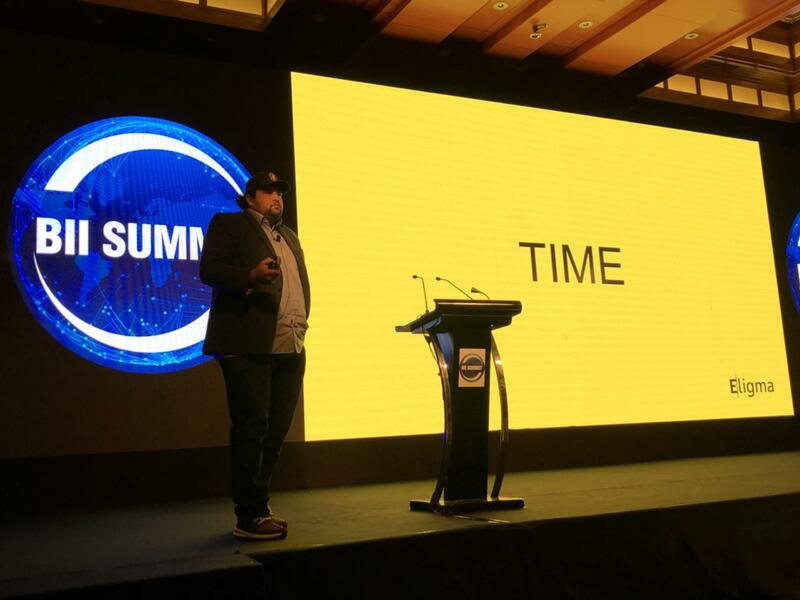 The presentation by Eligma CEO and founder Dejan Roljic at the Blockchain Innovation and Investment Summit in Dubai was met with considerable interest and enthusiasm. Over the next two weeks, the Eligma platform will also be presented at similar events in Hong Kong, Berlin, Zurich, Paris, and Kazan.